We are an organization of volunteers dedicated to providing rehabilitative care, restored health, and ultimate freedom to sick, orphaned and injured, native East Texas wildlife. Here at the ARC, we can assist you directly, or help you to find the assistance you need with the following wild animal species. If it is a WILD animal, even if it is not on the list, we may be able to direct you. We are a WILDLIFE Rehabilitation Center. For assistance with domestic animals; dogs, cats, puppies, kittens, etc., please contact your local Humane Society or Animal Shelter. 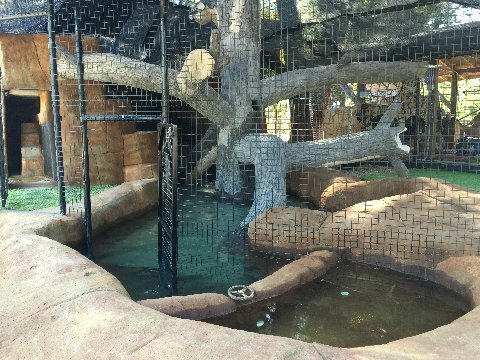 Our new and improved River Otter rehabilitation enclosure now has much more square-footage for added enrichment and exercise to hone their swimming, hunting, hiding and climbing skills while they are here in training preparation for their release back into the wild. It boasts a waterfall, a rock climbing wall, den/cave/climbing areas behind the waterfall to hide in and explore, a 20' tree with big branches to climb on, a slide down into a pool from one of the tree limbs, and so much more. rehab facility we are aware of anywhere! Visit our You Tube Channel to see more videos! 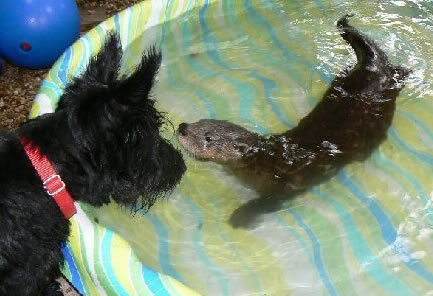 Baby river otters often must be enticed, pushed, pulled (or dragged!) 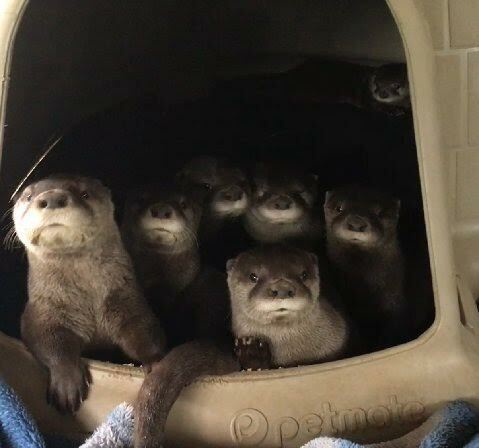 into the water by mama otter. Although swimming comes naturally to them, getting in the water does not! > Read more about Pete and Shu-Shu!